The Lao currency is kip and is approximately 8,000kip (LAK) to the 1 US dollar. It is advantageous to have kip as all businesses transact in the local currency. ATMs are plentiful and changing money is best in the better known banks BCEL, Banque Franco Lao, with branches on the main street. If you are changing at the money changer's make sure you count your notes carefully before leaving. Most shops catering to foreigners accept credit cards and add a 3% bank charge to pay by card. 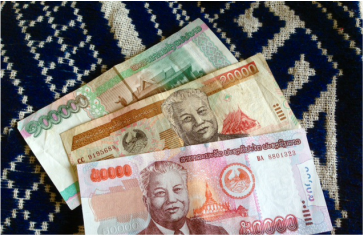 US dollars and Thai baht are widely accepted although the exchange rate may not be as advantageous paying in these currencies. 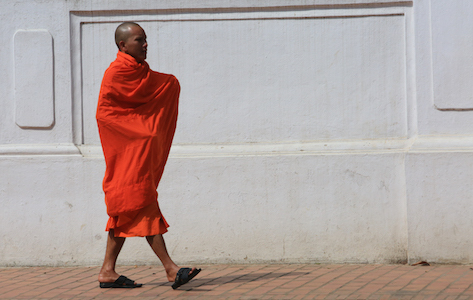 Every morning the monks and novices leave the temple just after sunrise to collect alms from the people. 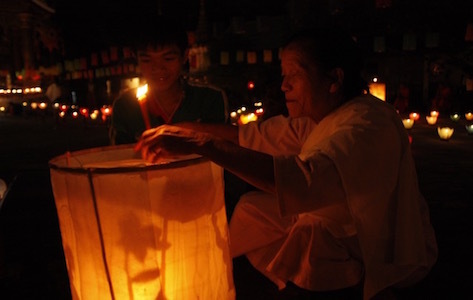 This is a special tradition in Luang Prabang where the concentration of temples is very high in the heritage town centre. It is not necessary for you to participate in the alms giving and it is encouraged you show respect towards those who are. Please read this important information about the ceremony and how you can show respect. Also when visiting temples shoulders should be covered and respectable clothes worn. Even around town it is considered disrespectful to be wearing no shirt. The most well-travelled places around town are accessible by road and by river. Our reception staff can arrange tours for you to the popular Kuangsi waterfall, and Pak Ou Caves. There are also some experiential tours available, sunset cruising on the Mekong, experiencing rice farming, textiles, dyeing and weaving, Lao cuisine and more. We have a selection for you to choose at reception. The town is very accessible by foot, bicycle and tuk tuk, and the major temples and main street are not far from the hotel. For a good map with more up to date information check out Hobo Maps, Google maps do not work so well here in Laos. .